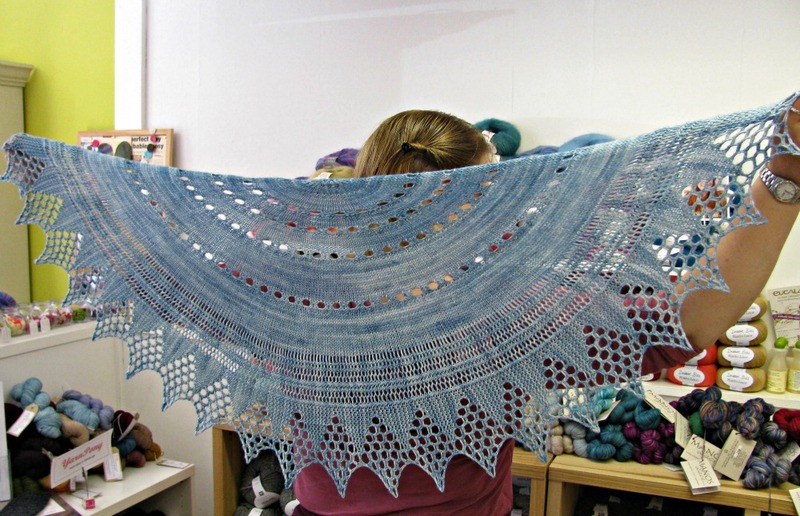 Helen popped in during the Pittenweem Arts Festival to show off her Pear Drop shawl. 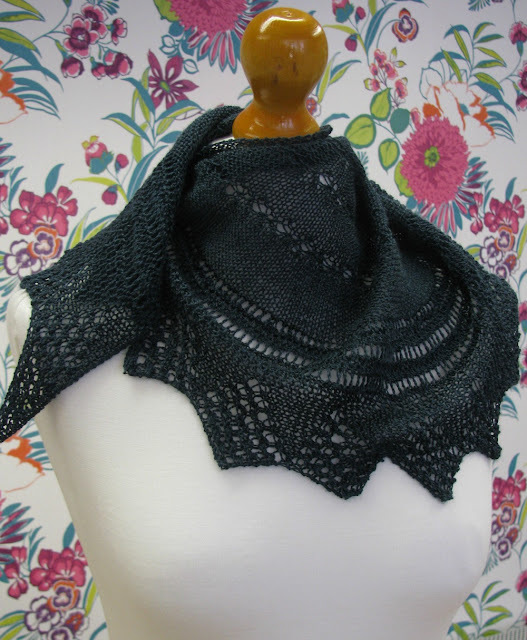 She used Yarn Pony's Show Pony in 4ply and Ysolda Teague's Pear Drop pattern from Saturday Treat. You can see her Ravelry project page here. She followed another Raveller's modifications to use up all the yarn. Show Pony and Saturday Treat are available in the shop.